You’re looking to buy a novel of your favorite author. You visit the product page on Amazon, add the product in the cart, and something comes up so you forget to checkout. Later in the day, you login to Facebook and while browsing through the feed, you see an ad of the same book. You click on the ad, and complete the purchase. What Does Omni-Channel Marketing Mean? Omni-channel marketing is not a buzzword. It often gets confused with other terms such as multi-channel marketing, cross-channel marketing and integrated marketing. In simple terms, omni-channel marketing means providing a seamless and coherent experience to your users and customers irrespective of channel or device they are using. To make it simpler, the fusion of multi-channel and integrated marketing gives rise to omni-channel marketing. Starbucks is known for its exceptional customer experience. The American coffee company offers a free reward card which accumulates points whenever you use it to pay for your purchases. 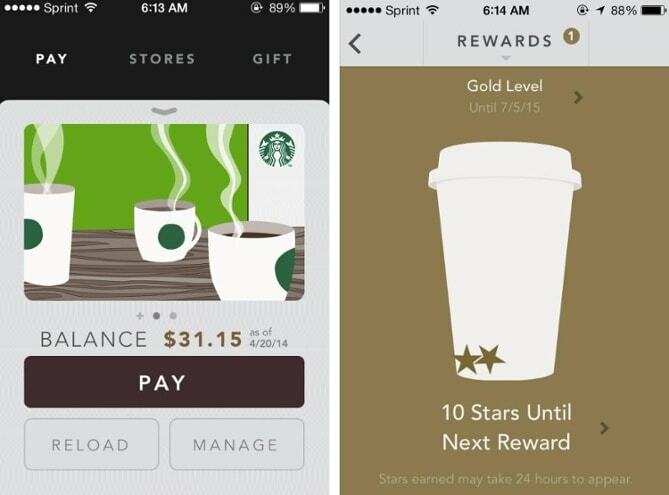 What gives it an omni-channel aspect is, you can top-up the reward card using the Starbucks website, the mobile app or at the physical outlet. The top-up recharge and reward points are updated in real-time, so if you’re recharging the card while you’re in the order queue, by the time your turn comes, you would have completed the process. With the help of the Starbucks app, you can view the stores near your location, send digital gifts, place order ahead of time and transfer balance between cards. Its integration with the Spotify app identifies the song that’s playing at the Starbucks outlet you’re and lets you save in your playlist. How to Get Started With Omni-channel Marketing? The foundation of omni-channel marketing starts with a deep understanding of your customers and their purchase journey. Start by developing buyer personas – a semi-fictional representation of your ideal buyers based on the research and information of your existing customers. The buyer personas consist of demographic, geographic characteristics, behavioral patterns, interests, goals etc. Periodically interview your customers and prospects, encourage customer feedback, tap into social listening and analytics tools to gather new statistics and improve upon the existing customer data. Define a sales funnel that outlines the buyer’s journey i.e. the process your customers go through before buying from you. Having a practical sales funnel will help you create content that targets each stage of the funnel prompting the prospect to move one step closer to the purchase. When you define your buyer personas, you will start noticing patterns in the characteristics such as designation, role, location, education and so on. Segment your users based on such characteristics. Take personalized approach in your marketing. Instead of sending generic message to your entire user base, segment them based on their designation, location etc. and send a personalized message to each segment. Addressing users by their name is just a starting point in personalization; when you craft the message based on the segments, the communication comes across as a genuine effort to strike a one-on-one conversation which your customers will appreciate. It’s 2018, and we wish we didn’t have to mention this point here, but still many brands ignore going mobile. When you’re going omni-channel, you need to realize that your users will come to your website not only through desktops, but through mobiles and tablet devices as well. Therefore be sure that your website is responsive to the device it is being viewed on. Mobile apps are great, but not everyone is ready to take pains to download and use it. Also, not having responsive design will lead to getting penalized by search engines. Now, you might presume that since you’re going omni-channel, you need to be on all channels. Nothing could be further from the truth. You have finite time and resources, therefore focus on only those mediums that are important to your brand and where your audience spends their most time on. For example, for a B2C brand, LinkedIn might not be the right choice to invest your time in. Once you’ve finalized the channels, prioritize channels based on their potential to generate the maximum ROI. Note: If you want to use channels that are not crucial, feel free to use them, but keep them at the bottom of the priority channel list. It is imperative to maintain a consistent tone across multiple channels to make omni-channel marketing work for you. Are you trying to be witty? Then keep the tone witty on social media, your website, emails, collateral, physical stores and other channels. And when we say your website, we mean the 404 error page, about us, contact us pages along with the home page. Keeping your voice consistent across all channels will avoid the confusion in the minds of your customers and deliver a great experience. As the martech field is ever growing, new tools and systems are introduced everyday leaving you with a myriad of choices to choose from. To shortlist which tools to implement, once you’ve worked on the previous steps, decide the areas which would require you to implement tools. In general, most brands use tools such as a CRM software, email automation software, marketing automation software, social media management tool, CMS and analytics tool. If you are not sure, you can draw inspiration from the world’s top startups by having a look at their tech stack. Once you’ve implemented your omni-channel marketing plan, it is necessary to assess what is working and what is not. Periodically measure the performance of all channels, and make necessary changes. Play around with the messaging, channels, posting schedule, frequency etc. to find the optimum schedule which you can adopt. Hope this article has given you a good starting point to start the omni-channel marketing journey for your company. If you have any queries or would like to know more, do let us know in the comments below!